Black beans canned and ready for making black bean and corn salsa (among other things) next summer. Why would you want to can dried beans? they keep forever, you ask? That's a great question. The truth is, they do, however, dried beans tend to dry out in storage. The drier the beans become, the longer they take to cook. If the beans get too old you might cook them for hours and the beans still won't be cooked until tender. If beans get that dried out to the point where they get too dry, you don't have to throw them out. A simple solution is to run the beans through a grinder before cooking, this will allow you to cook them faster. You can also use beans cooked like this for adding to ground meat and bread crumbs to help stretch the meat at a lower cost. Canning beans allows you to cook your beans while they are still tender. I personally like to can beans during the winter months as my canning jars empty of garden vegetables. There are a couple of reasons I do this. 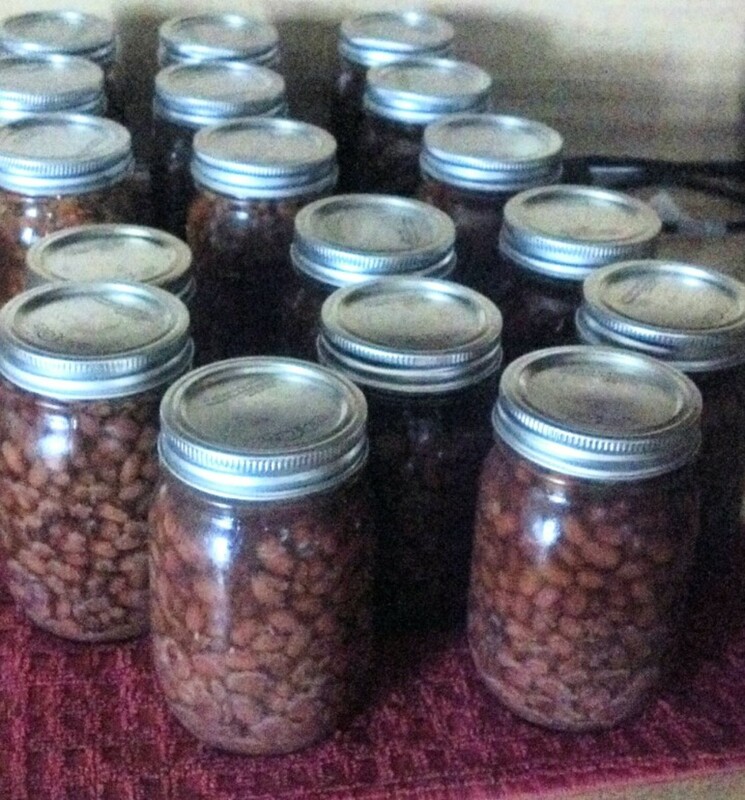 First, the jars are available and second, by canning them in the winter when it is cooler, I don't have to heat up the house in the summer to cook beans that I use during those months. I save money when I can a canner load of beans rather than just doing enough beans for one meal at a time because I am saving energy. The first reason I that I am saving energy by using a pressure canner is that the canner cooks food faster than more conventional means of cooking beans. Second, when I can my dried beans, I cook equal to 7-9 meals of beans rather than the same electricity used to cook one meal of dried beans. Finally, I can beans during the winter which displaces the heating needed during the winter months rather than requiring air conditioning to keep my kitchen cool if I were cooking in the summer..
Can You Can Dried Beans? According to the canning guide that comes with my pressure canner, dried beans cannot be canned in jars in a pressure canner, however, with a few precautions, I do it all the time. Please note that I said that dried beans can be canned in jars in a pressure canner. Never consider using a water bath canner for anything but high acid foods such as pickles, jams and jellies and some high acid tomatoes. For everything else that you want to preserve by canning, especially something like dried beans, you will need a pressure canner. 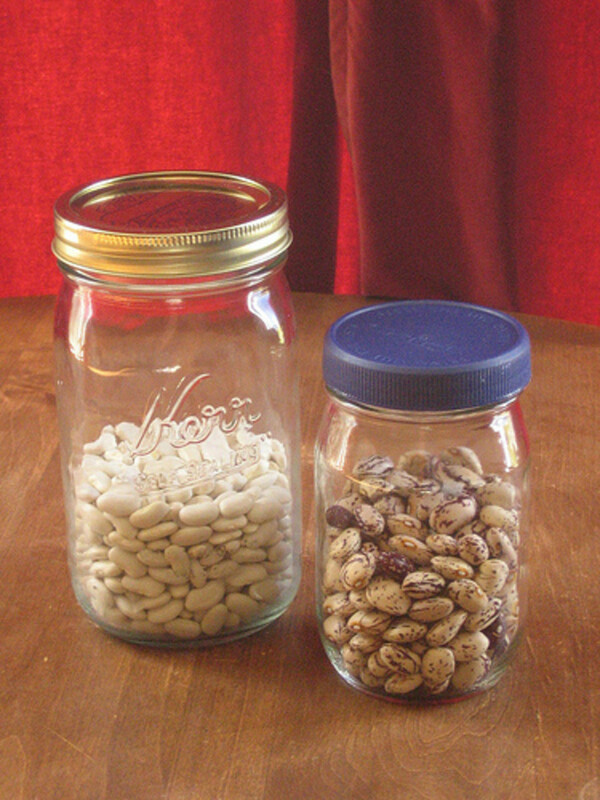 On average, you will need about 3 1/2 pounds of dried beans to make a canner load of quart sized jars of dried beans. For pint sized jars, you will need about half that. Rinse the beans and remove any culls, then rinse again. Cover beans with 3 times as much water as there are beans. Allow Beans to soak in water overnight. Not all beans require presoaking or precooking before including in canning. Dried peas or lentils can be added to soups or stews that you are canning. I usually add about one tablespoon dried peas or lentils to add to my pints of vegetable and/or meat soups or 2 tablespoons to the quarts of the soups that I am canning. Two reasons exist for cooking your beans before canning them. 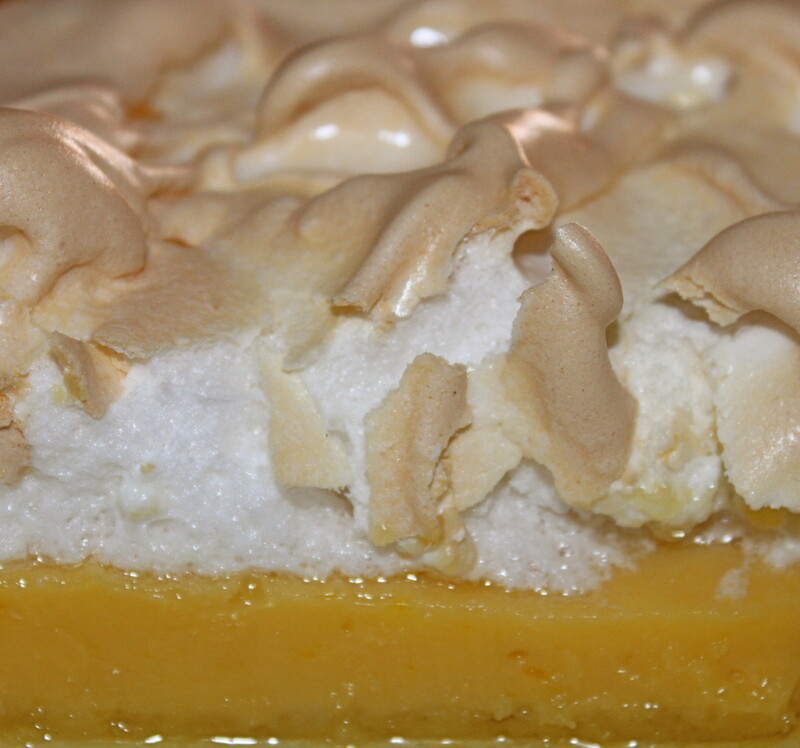 The first reason is that the beans require more than the canning time in order to cook all the way. Second reason is that the beans give off a gas that will prevent your jars from sealing properly. Rinse your beans a third time before beginning to cook. You can either cook the beans on top of the stove or cook them in the oven. Bring beans to boil and allow to simmer for one hour. Remove from heat, drain water from beans and rinse your beans one last time. All this rinsing is important because it help off-gas the beans. Cover with cold water and bring again to a boil. After bringing dried beans to boil after the third rinse, cook beans in a saucepan for an additional hour. During this time sterilize jars, screw caps, and lids in preparation for canning. Put 1/2 teaspoon of canning (plain, not iodized)salt in each pint sized jar or 1 teaspoon into each quart and fill jar with beans and cooking liquid up to 1/4 inch from the top of the jar. Wipe around rim of glass canning jars to ensure that no debris or grease will prevent jars from sealing securely screw sterilzed caps and lids onto jars. Using pressure canning instructions with the canner, Place metal ring into canner along with several inches of water. Can at 10 pounds pressure in areas below 1000 feet above sea level or 15 pounds pressure in areas above 1000 feet. Pressure can pints for 60 minutes and quarts for 90 minutes. (Begin timing only after reaching recommended pressure). Once time is complete, turn off heat to canner and allow pressure to fall naturally do not attempt to speed up depressurization process. Only when pressure canner pressure has reached zero should you carefully remove pressure canning lid. Use jar lifter to remove jars from canner and place jars one inch apart on a dry towel near canner. Allow beans to cool in that location for twenty-four hours before removing screw caps or moving to a more permanent storage location. Store beans in dark, dry area where the contents will not freeze. Survival: Know Your Dried Beans! Thanks for the comment, teaches12345, years ago I learned that beans along with some type of grain food make the perfect protein, but I don't hear that any more. I still love the combination of beans and corn bread, beans and rice and beans and homemade wheat bread. Meals like those are so satisfying. Canned beans would make any meal better and the fact that they keep well is wonderful for those who live on a budget, like me. Thanks for sharing. ChitrangadaSharan, Thank you for your comment! Very interesting and informative hub about canning dried beans! I am going to do this with your clear instructions and useful tips. 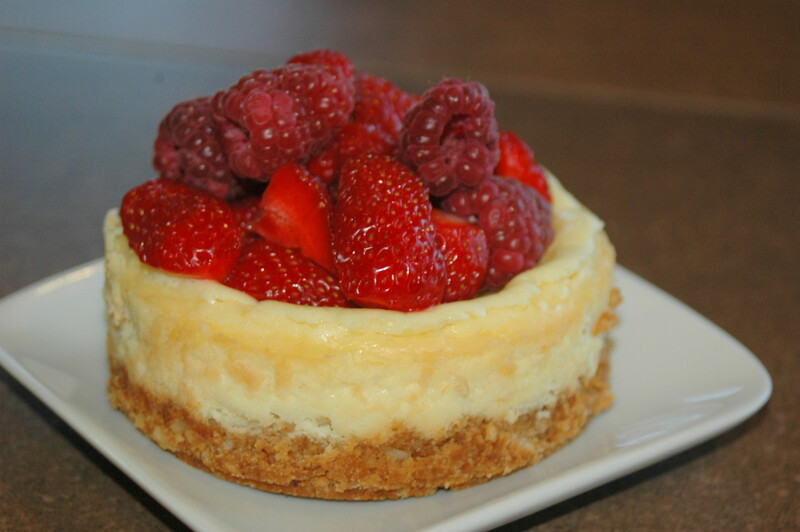 Thanks for sharing, voted up!